You could say that the hoopla over smartwatches has died long ago, they've kind of hit this unseen roadblock where consumers just don’t seem to be as interested in them as before. Initially, the pacing was ferocious, as a slew of companies were quick to deliver their offerings to our wrists, but as time wore in, we all soon realized that we're still constantly favoring our mobile devices as our go-to portal for connectivity. 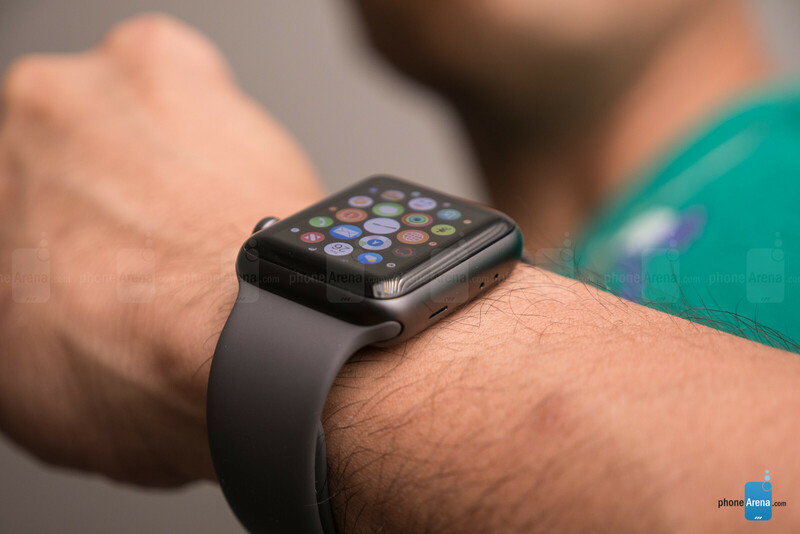 Through it all, though, the Apple Watch has remained the most relevant, with only a handful of others trying to keep pace – and that's despite the slowed interest in the segment as a whole! The Apple Watch Series 3 introduces one major feature that aims to break the bond that has kept it tethered to its master, the iPhone. Now that true cellular connectivity is on board with the Apple Watch Series 3, is that, along with some other new features, enough to spark renewed interest? It's a tough market to be in right now, but somehow Apple's prized smartwatch has not only claimed the top spot in smartwatch sales, but it has gone on to become the number one selling watch – beating out timeless and luxury makers like Rolex. Achieving that milestone is remarkable on its own, but is the Apple Watch Series 3 really pushing forward enough to make a significant difference? To no one's surprise, the Apple Watch Series 3 looks and feels much like its predecessors. There's been no change to the fundamental design here, as it continues to favor the same square shaped design that's been in circulation since the very first one. 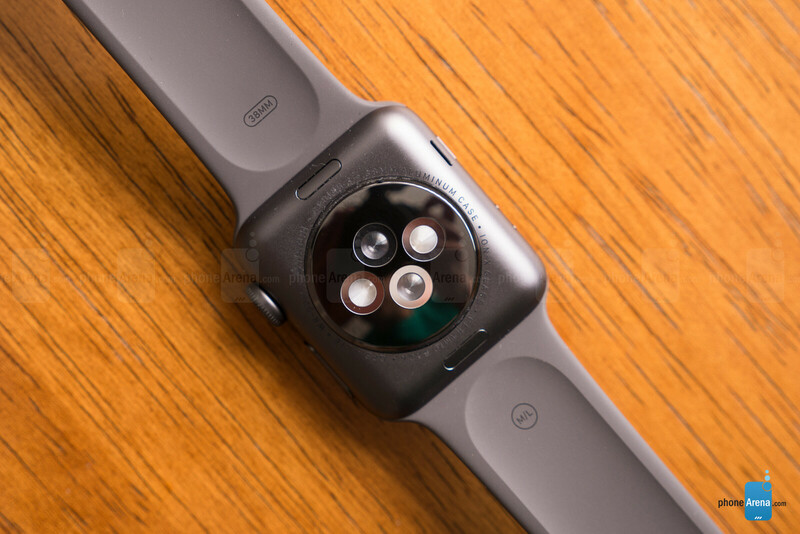 While the square shaped style isn't the most fashionable, nor stylish by any means, Apple doesn’t seem to mind it because it's nonetheless distinctive – you see a square shaped watch on someone's wrist, it's more than likely an Apple Watch. This year's lineup of Apple Watch Series 3 covers the same gamut in terms of finishes and sizes. From the standard aluminum frame available in 38 mm and 42 mm sizes, which starts at $329 for the non-LTE version and $399 with LTE, to the more premium casings like stainless steel and ceramic, there's a look for everyone to choose from. For those wishing to pick up a stainless-steel model, they start at $599 – while the ceramic finishes fetch upwards around $1,399. And if you worry about it getting wet, there's no need to fret because it features a water-resistant construction for up to 50 meters. Just as before, there are two buttons placed along one side, the so-called "side button" and the crown. On its underside, we have the usual array of sensors to measure our heart rate. And finally, the bands are easily swappable as before. What differentiates the non-LTE models with the ones with cellular connectivity on board is the red dot slapped onto the side of the crown. We're unsure about this peculiar decision, just because it seems out of place and doesn't necessarily mesh with the rest of the Apple Watch's clean look. Honestly, the design is something you're going to have to live with, even if you despise square shaped watch designs, seeing that this is the only presentable option for the foreseeable future. Apple has kept firm in essentially recycling its design, a tactic that doesn't seem to end any time soon. Now, that also has a bright side to it, because it means accessories are in abundance – and they won't cost you a penny like they did when the first Apple Watch was released. But still, it's a boring looking design in comparison to some other round-faced styles out there. Looking at the specs sheet of the Apple Watch Series 3, it doesn't appear as though they've changed the display with this latest model whatsoever. Specifically, it's a 1.65-inch second-generation OLED Retina Display with a resolution of 272 x 340 pixel (312 x 390 with the 42mm variant). With our particular review unit, the one with an aluminum chassis, it sports Ion-X glass – while the stainless steel and ceramic models get the stronger sapphire crystal for protection. There's very little to nitpick here, seeing that it has all the favorable qualities in making it usable during all sorts of situations. For something leveraging OLED technology, it doesn't appear to exude the over-saturated and high-contrast tones that the technology is known for. That’s a good thing because not only does it deliver an ample level of brightness under direct sunlight, but it's never overpowering to the eyes in dimly lit situations either. From a normal viewing distance, there's enough detail and clarity to see everything that's on-screen. When you have such a small footprint to deal with, it doesn't take a whole lot to make it enthralling. At the very least, the display in the Apple Watch Series 3 has everything you want in a smartwatch display. It's incredibly detailed and sharp, offers exceptionally wide-viewing angles, colors have a neutral tone, it's visible in outdoor settings, and it doesn't strain the eyes. And yes, the same Force Touch mechanism is still in play here. 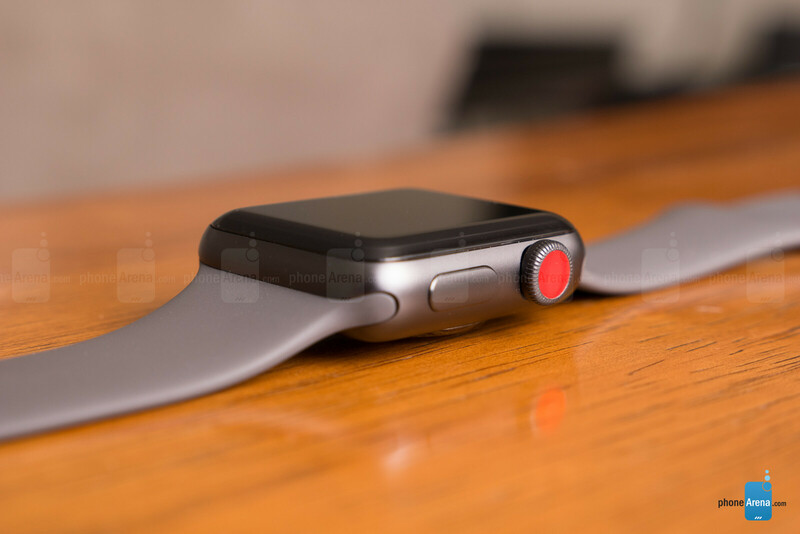 Much like with any new product release, the arrival of the new Apple Watch Series 3 sees a new version of Apple's smartwatch software – WatchOS 4 in this case. Frankly, most people probably wouldn't notice any major shakeups between this version and the previous one, especially given that the new software has been out for almost a week to other Apple Watches. 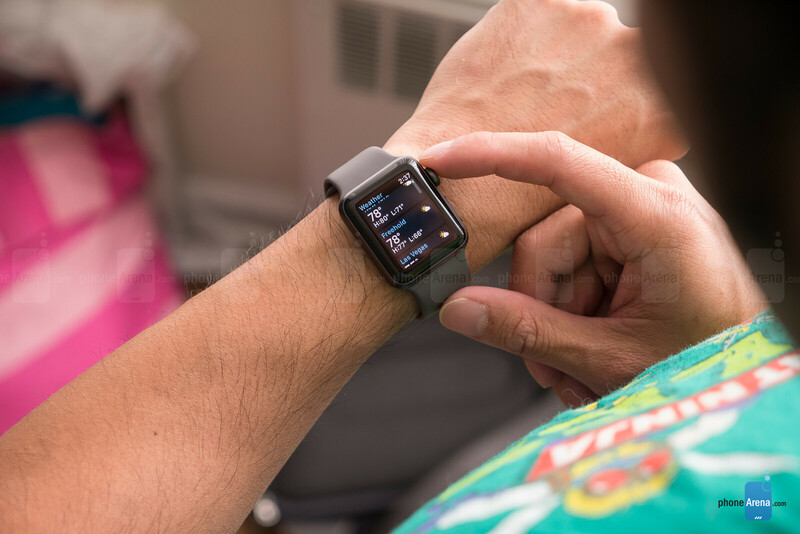 From the way the interface is laid out, to its focus on fitness, WatchOS 4 receives small, iterative improvements that fine-tune an already robust ecosystem. Compared to other smartwatch platforms, Apple's WatchOS is undeniably the most feature-rich and well-executed, far more intuitive and informational than its rivals. Seriously, the best part about WatchOS as a whole is that it's not just a platform that aggregates notifications, but rather, it's a complex one that allows the Apple Watch Series 3 to truly achieve freedom. Aside from that, watchOS 4 introduces an improved Music app. It will automatically import new Apple Music playlists, with multiple playlists also being supported. Finally, there's an overhauled app dock which will let you scramble through your apps by simply rotating the dial on the side. Functionally and visually, WatchOS 4 recycles the same recipe as before. Even though its new features aren't overpowering or in-your-face, it doesn't need to be because it's still the most intuitive, functional, and practical smartwatch platform around – more so when the competition is moving at a slug's pace. When other smartwatch platforms continue to simply act as a depository for notifications and such, WatchOS 4's minute improvements are still leaps ahead of everyone else. 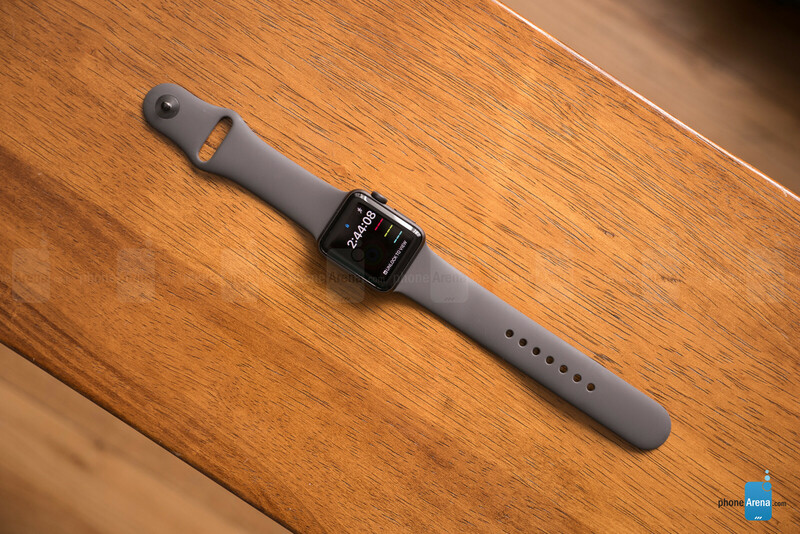 Being the newer model and all, most of the Apple Watch Series 3's improvements come in hardware form – not the display and such, but rather, the processor that's the brains behind the scenes. With this year's model, it leverages a newer, more powerful dual-core S3 chipset, which is allegedly 70% faster than the Series 2. That's debatable, of course, seeing that the same responsive consistency is evident on both smartwatches. Don't be shocked if we believe that there aren't any noticeable differences, mainly because it's really tough to gauge them. Apple's platforms have always been optimized to deliver the smoothest performance, and the Apple Watch Series 3 doesn't disappoint. From its tight, responsive scrolling through lists, to instantly answer our commands with Siri, there's barely any pause with its performance. Additionally, the Apple Watch Series 3 packs double the amount of storage than its predecessor. It's been bumped up to 16GB of internal storage, which should do nicely if you intend on storing music on the watch itself. Gear S3 frontier all the way.... That and, Samsung Pay..... I used it at a Bass Store and the clerks were amazed how easy it worked when they could not get their Apple pay to work. I am surprised that in this day and time battery life is not a con. I get 3 days from my gear S3 Frontier. I get 3 full days, sometimes 4 if I turn it off at night. And Samsung Pay is amazing and I love to surprise the clerks when they almost always say, "apple pay doesn't work here"...then the machine beeps with the approval. I just say, "this is Samsung Pay...it works everywhere." Plus, the Gear S3 Frontier just looks better! Never had a problem with Apple Pay here in the UK, perhaps people at that store are just a bit dim? No, Samsung uses old tech that the US still uses, here in Europe, at least in the UK - EVERY store uses contactless payment, I haven't seen mag strips used by anyone in literally years. So Apple pay works perfectly here - which is what I said. If those guys in that Bass Store have contactless and couldn't figure out Apple Pay they're dim, if they don't have contactless and were trying to use Apple Pay they're dim. They don't have contactless which is why Samsung pay works over Apple pay in scenarios like this. Even in Canada where we really don't have swipe machines at all anymore, if a store doesn't have contactless payments Samsung pay likely will work. LG Watch Urbane 2nd Edition LTE has 560mAh batrery life (almost triple the Apple Watch 3's 200 mAh), battery life is 3-4 days with cellular on, big round OLED screen and a much nicer, non-dorky design. Still have the original iwatch I don't use anymore. I loved it but ive moved on to better things. I'm glad it got this score. Apple is being lazy. The gear classic is amazing. Apple should take notes. John V. Always keeps it real, glad he is back and finally has a review under his belt. Yikes. From what I can see, this is the lowest score they've ever given for an official Apple product. He is only being truthfull, and that is all we want. Tmobile touts unlimited apple music streaming but wants to charge $10 to use Apple music on your wearable device. Lol. Ok then. My $100 Casio Edifice from 2007 has a stainless steel case, waterproofing and sapphire glass. Perhaps if somebody actually tried to make a durable and useful smartwatch (instead of focusing on gimmicks and obscene profit margins), they'd finally catch the wider audience's attention. The Pros and Cons were all asspulls. You failed to list the biggest CON of all: Cannot send and receive SMS and MMS text without being tethered to an iPhone.